Everyone’s tastes are different, and we’re no exception here in Round Top. We’d like to think of ourselves as a place that has a little somethin’ for everyone, and that includes food. While Round Top is already a star in the world of antiquing, we’re also becoming known as a destination for great food – and for good reason. Here’s our breakdown of the restaurants we think you need to visit in Round Top. 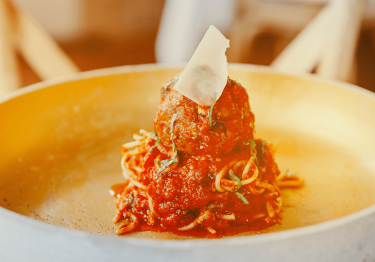 Mandito’s and Lulu’s: Owned by the family that brought you ARMANDOS in Houston, Mandito’s and Lulu’s are two ways to taste the world in Round Top. From the delicious margaritas and authentic Mexican fajitas at Mandito’s, to the fresh, home-cooked taste and rustic Italian ambience of Lulu’s, these two restaurants make you feel like you’re traveling the globe without leaving your own backyard. Teague’s Tavern: Teague’s is in the business of bringing people together, and there’s no shortage of people that love to gather ‘round with some Texas-style comfort food. Grab a cold beer or a cocktail and choose from flavors that made the Lone Star State famous. You’re sure to leave with a full belly and a happy heart. Royer’s Round Top Café: Royer’s has made a name for itself outside of our small town, but it will never outgrow its roots. They’ve been serving up gourmet comfort food, famous pies and lasting memories in Round Top for over 30 years. It wouldn’t be a trip to Round Top without trying some of their iconic pie, but stick around awhile and try out some of their gourmet comfort food. The Garden Company Feed & Firewater: Located in a restored 1914 farmhouse, The Garden Co. prides itself on using fresh ingredients for maximum flavor. They serve up bistro-style soups, salads and sandwiches, with an emphasis on local veggies. Come have a long, lazy lunch on their back porch shaded with trees, and take in the scenery over craft seasonal cocktails made with fresh ingredients from nearby farms. The Stone Cellar: Round Top’s Stone Cellar is a true Texas-themed pub and wine joint set in a rustic country venue. Boasting 25 craft beers on tap, they also have an extensive wine list and are known around town for the live music that can be enjoyed in their open-air restaurant every weekend. At The Stone Cellar, it’s always a good time to grab a cold one and put on your dancin’ boots. There’s more where that came from – visit our dining page to see all the dining destinations Round Top has to offer.